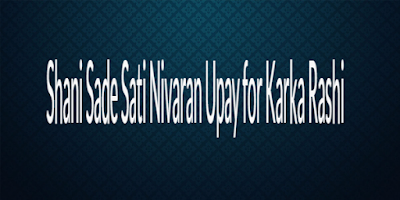 Both the Shani Sade Sati Nivaran Upay given below should be practiced on Sundays for a period of 40 days, if you wish to increase this period, it is entirely up to your wishes. 1] Feed a few young girl of about 6 to 7 years, a meal of Halwa-Puri [this can be replaced with a similar meal of sweet food like Kheer and Roti-Paratha]. 2] A small Dakshina should be given to these young girls. The astrological texts mention 1 ¼ Rupees. In today’s times, a 25 Paise coin is out of circulation, hence the Dakshina can be about 10-15 Rupees or so depending upon your financial condition. 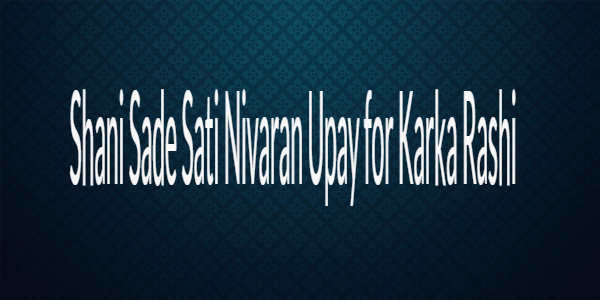 Along, with this another remedy for pacifying a malefic Saturn and getting relief from Shani Sade Sati, it to perform the Kanyadaan ritual during the marriage of any needy girl. Along with this, contribute money as per you financial status for the expenses of the meals, which have to be offered to the guests for this wedding.